Storj is a “storage coin” with over $30M of ICO funding. The thousands of investors would be outraged if Storj was anything less than a Dropbox killer. Or would they? Today I’ll be trying one of the several “storage coins”. Storj aims to replace Dropbox, Amazon S3, etc. with a decentralized protocol where users are paid to store files on their computers. Storj also has two coins and one ICO. 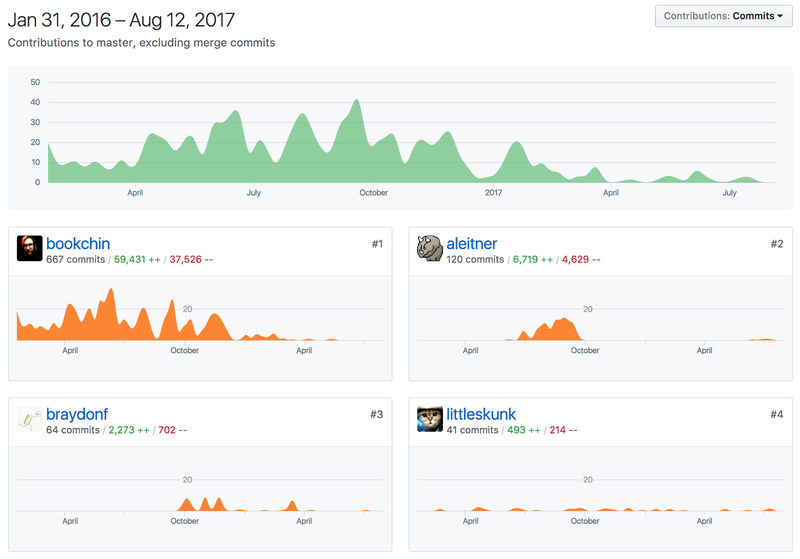 The landing page markets Storj as encrypted, open-source, and sustainable. I’m not sure what sustainable means in this context. 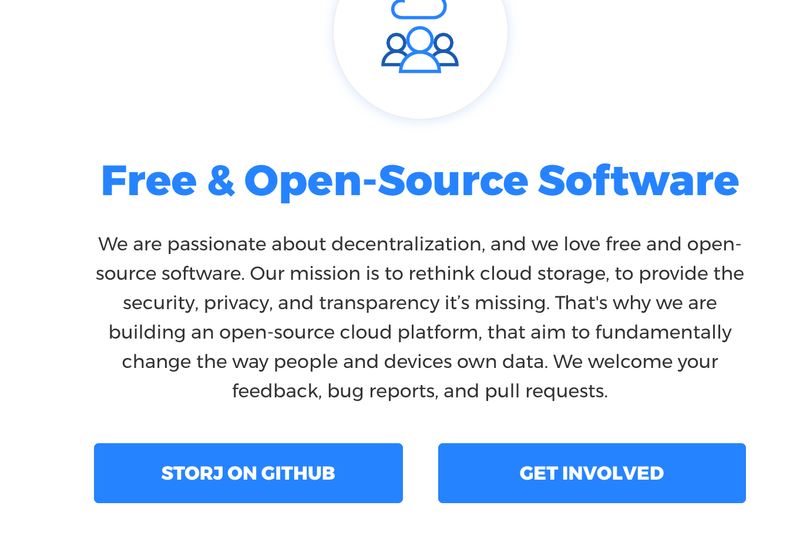 A bit further down on the Storj landing page there’s a link to their Github organization. 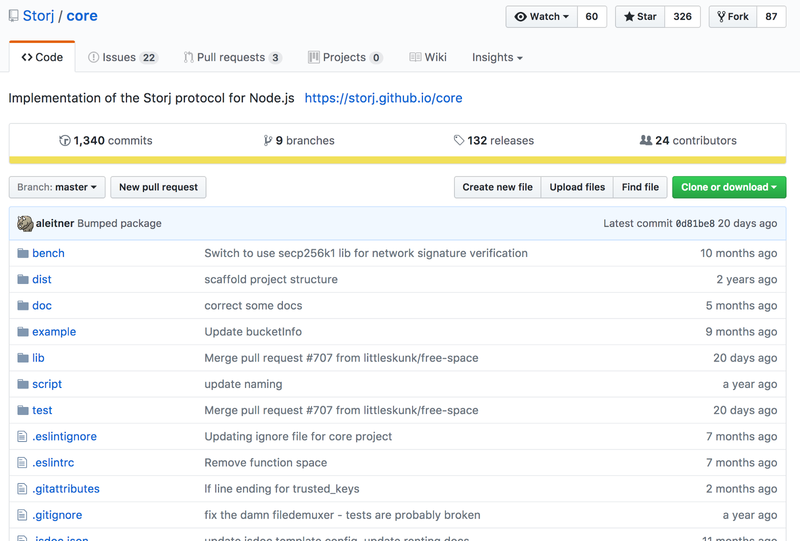 The Github organization has a number of projects. I don’t know what “farming data” means, so I’ll just go with “core”. You can also see his website at http://bookch.in. 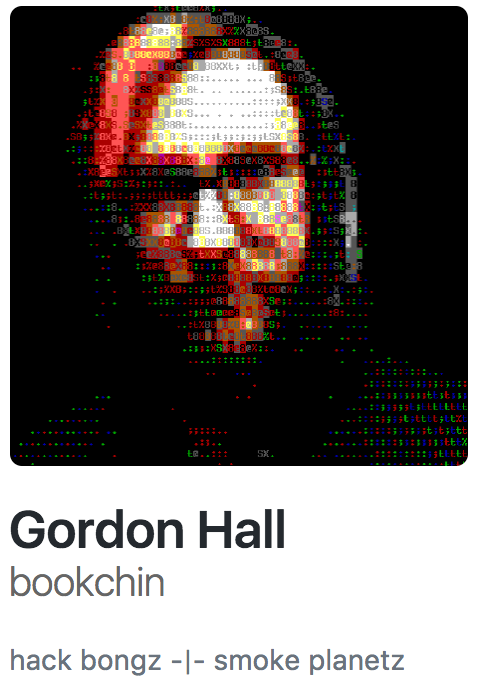 I recommend viewing the source where he uses an old-school but effective CSS vertical and horizontal align trick. I won’t spend more time trying to find the person behind the username. But why has the activity stopped? My best guess is that funds have been raised. Why code when you can buy lambos? There was a $30MM ICO which ended May 25th. The price of ETH was $177 at the time. Not bad! Dropbox’ first seed round was only $15,000. 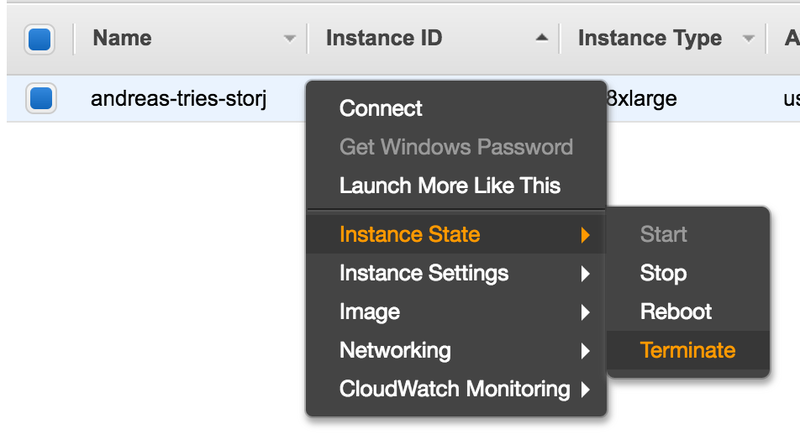 I’ll create a cloud server on Amazon AWS and use it for the tests. Ubuntu is a very common Linux operating system and likely compatible with Storj. I’m not sure how much space will be needed. I’m starting with 250 GB. 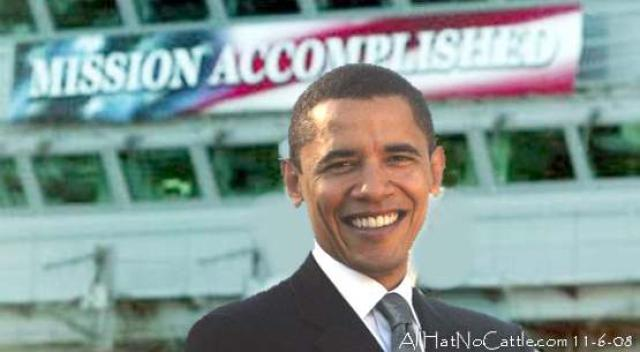 More can be added later. The server is running in the cloud. I’ll run a couple of commands to upgrade operating system and reboot. Surprise! 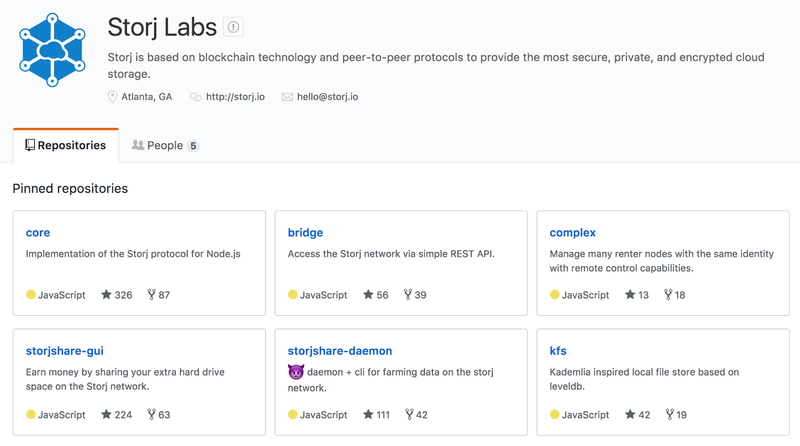 There’s a completely different project than the one linked from the Storj landing page. libstorj is written entirely in C. I haven’t written C for many years and hope I don’t need to read any today. Or ever. Then I’ll download the source code. Great! But there’s something worrying me. There’s a setting named STORJ_BRIDGE which defaults to api.storj.io. I’m getting flashbacks to Ripple. Am I talking to a centralized service? I’ll continue with the centralized server for now. I’ve added a bonus objective where I’ll run everything myself like Satoshi intended. I’ve never actually seen this movie. I’m surprised they respond with this cryptic message. It would be nicer to be redirected to their website. There’s a lot of information here. activated: true sounds good. Let’s try to list my buckets. I don’t know what a bucket is yet. I now have a bucket-head bucket. Can’t ask for more. Time to upload a file. Storj “prepared” and uploaded the file in 17 seconds. The next step is to install storj on my laptop where I’ll download the file. While waiting for libstorj to install on my laptop, I’ll look a little at the pulse of libstorj. If you've previously uploaded files, please enter your existing encryption key (12 to 24 words). Otherwise leave the field blank to generate a new key. We now need to save these settings. Please enter a passphrase to lock your settings. Brian Patrick Carroll (born May 13, 1969), known professionally as Buckethead, is an American guitarist and multi-instrumentalist who has worked within many genres of music. Storing a single photo is great, but Storj seems like it would be more useful for larger files. Like backups or a high resolution photo collection. I’ll generate a 5 GB file with random data in it. drwxrwxr-x 2 ubuntu ubuntu 4.0K Aug 13 10:43 .
drwxr-xr-x 7 ubuntu ubuntu 4.0K Aug 13 10:41 .. I just searched online for “generate random files in linux” to find the command above. Nope, that didn’t work. The progress bar went fast to around 60%. After that it got slower and slower until the storj program crashed. I’m not sure what the error message “Unable to receive storage offer” means. Does no one want to store my file? Was there a network error? I’ll just try again. Nope, now it won’t let me use the service anymore. Rate limit usually means that I’m doing something too fast. I tried again after a few minutes, but the same error appeared. It’s about to get very ugly very quickly. Most who read the draft of this post found the next sections too technical. They’re right. It’s about to get confusing and aggravating. 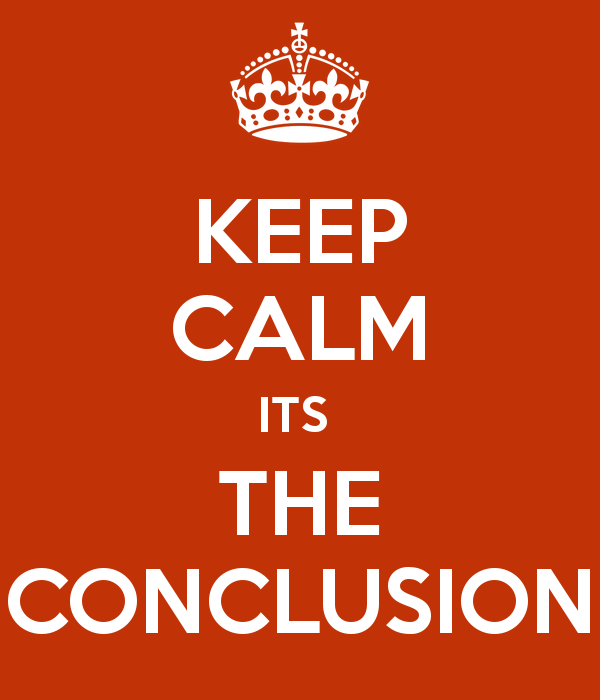 I suggest that you just scroll down to where it says “Conclusion” if you get bored. 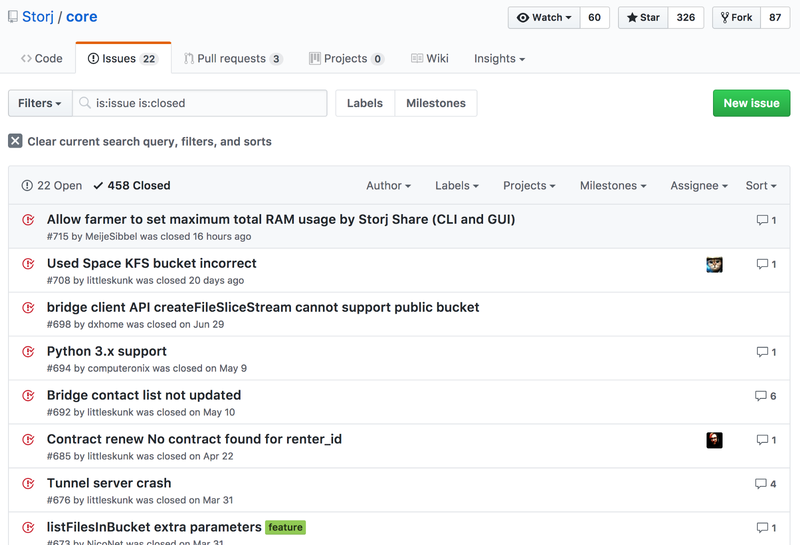 I noticed Storj Bridge earlier when I was looking at Storj’s Github organization. I’ll install Storj Complex on my server first. 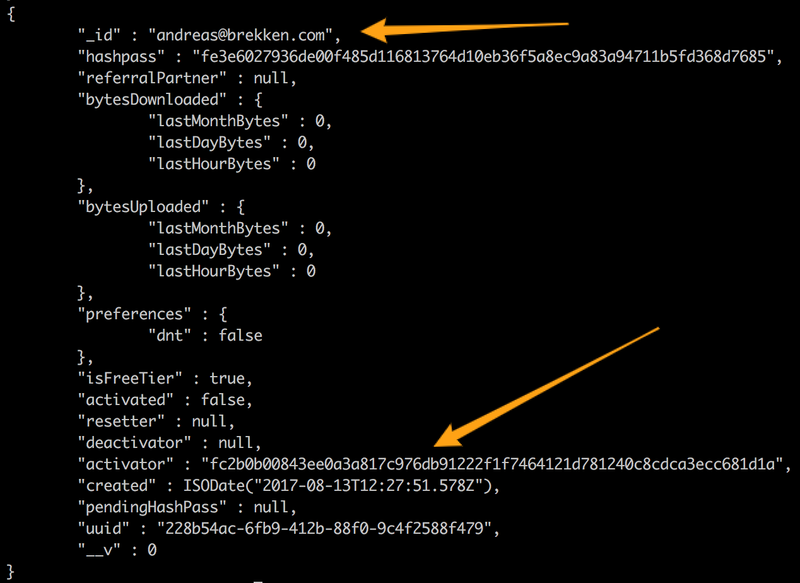 I don’t know what a renter node or an identity means, but let’s try anyway. Storj Complex does not have any release tags/numbered versions. I’ll install from the latest code. 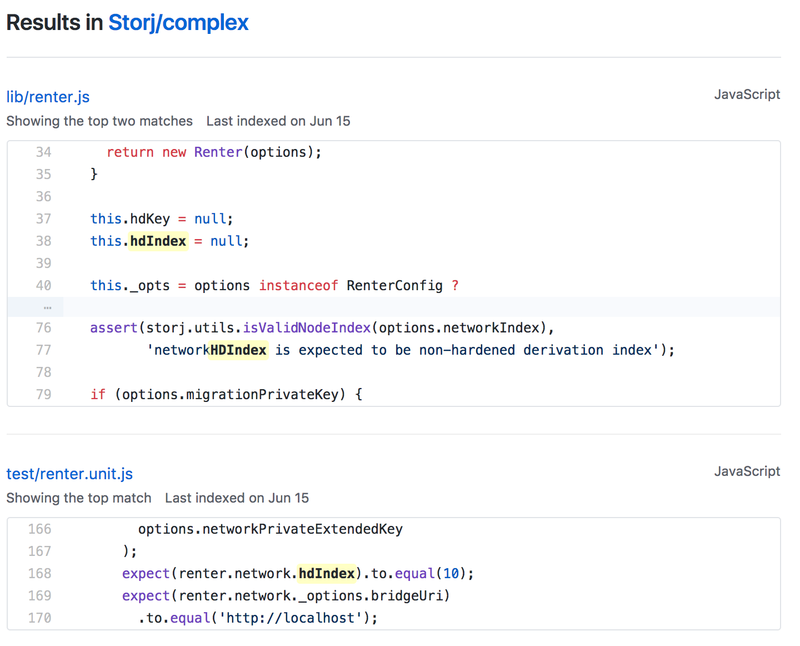 Storj Complex runs on Node.js. I’ll install Node.js first. I also need to install some packages which Storj Complex relies on. I’ll install these packages using the Node Package Manager, npm. That’s fair. I should have looked at the README file where it told me to specify a config file. I already noticed some example config files while poking around the code. The example config files are the ones ending in .json. There’s a few different ones. I don’t know what a renter or landlord is. I’ll try the one named multi-config.json. It has setups for a landlord and a few renters. The MongoDB URL is invalid. Well, it’s not even in the config file. Without a MongoDB URL, Storj Complex won’t know where the MongoDB database is running. I’ll just go ahead and open an issue for that on Github. It can’t find the example private key. I’ll move it from the example directory to the project directory and try again. Now I’m having problems with the code and not just the way I’m running it. I’ll submit an issue for this too. I’m guessing hdIndex and hdKey refer to hierarchical deterministic (HD) keys. You probably know HD keys from your Bitcoin wallet. But where is hdIndex supposed to be specified and what should the value be? I’ll start reading the Storj Complex code. I’ll search the Storj Complex code on Github code for hdIndex. 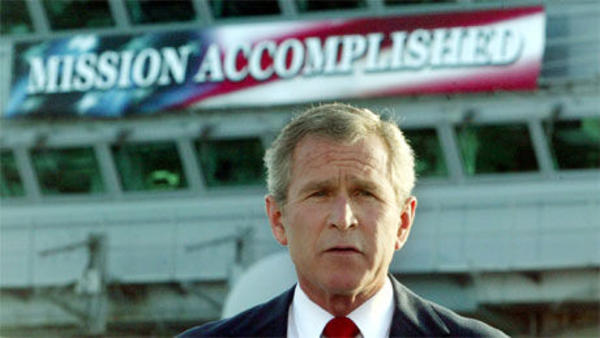 I’ll just edit the Storj Complex code to make the default hdIndex equal to 0. What could go wrong? I’m excited to show off my Node.js skills. It’s still crashing. Now I’m being told I picked a badhdIndexvalue. I don’t understand why. Hardened HD key indexes are really big numbers. I haven’t looked at this since the first time I was working on it for Bitcoin in January 2014! I’ll just try 1 instead. Storj Complex is running! I don’t know what it does, but something is running. And I’m connecting to peers! 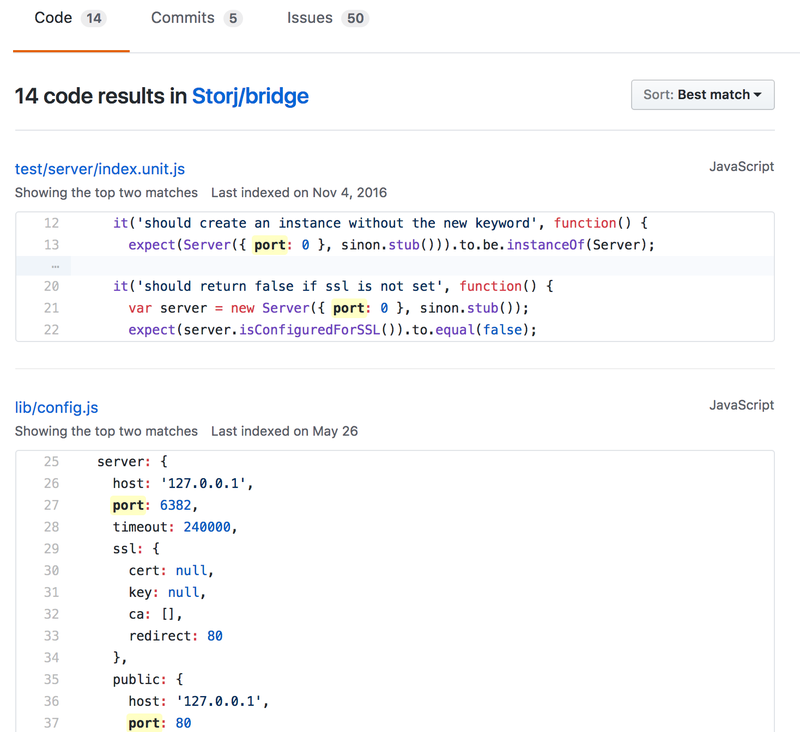 Storj Bridge is also written in Node.js. I’ll install the dependencies like before. 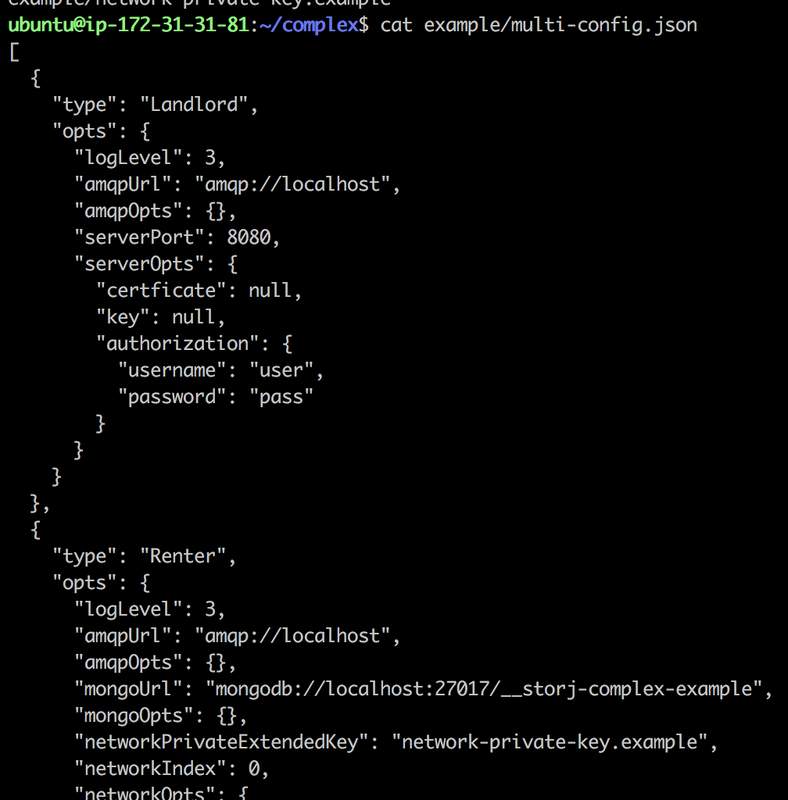 I already installed the MongoDB dependency for Storj Complex and hope they can share the installation. Next, I’ll start up Storj Bridge. But it can’t connect to Redis. That’s weird. The documentation doesn’t mention Redis. I’ll just submit another issue for that and install Redis. In case you’re wondering, Redis is a really fast key-value database used by Twitter, Weibo, Snapchat, and many others. 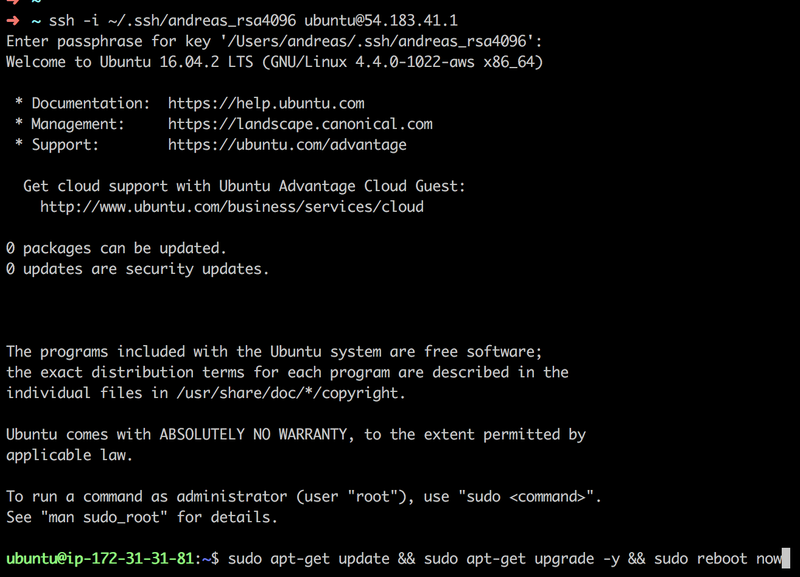 Redis is installed and working. I’ll try to run Storj Bridge again. I mentioned previously that storj has a STORJ_BRIDGE setting. I’m not sure which port my Storj Bridge is running on. Port 8080 is already in use by Storj Complex. I’ll search the Storj Bridge code for the word port. Something is listening on port 6382! I’ll runstorj with the bridge set to that port on my own server. 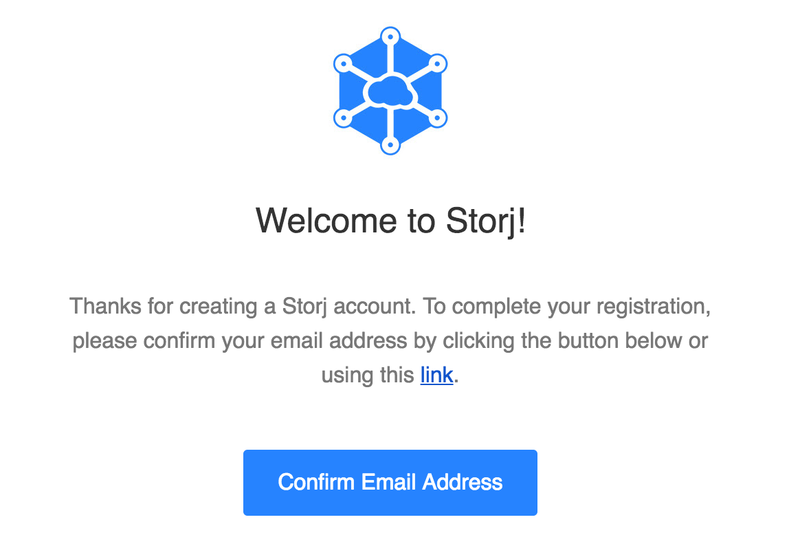 I’m registered with my own Storj Bridge! But how will I receive the activation link? I never set the e-mail server settings for Storj Bridge. How could the bridge send me my activation link? 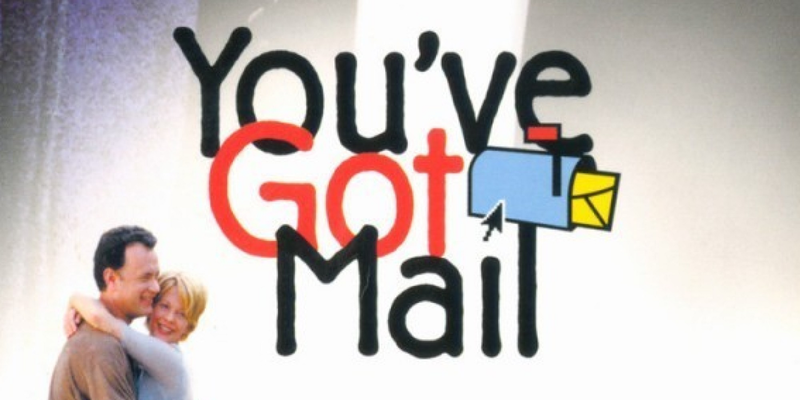 I haven’t set up an outbound email server (SMTP) in a long time. If I just run one on my server there’s a high risk that Gmail will block its emails as spam. I’ll start the interactive MongoDB shell. Using the shell I can query and even modify database records. Next I’ll see what databases there are using the show dbs command. The database containing the word “bridge” is the one I want. Each database has several collections like an Excel document has multiple sheets. I’ll look at which collections there are in the Storj Bridge database. users is probably the one I want. I’ll use the find command to display every record in it. The output is a hard to read without formatting. After a little research I remember there’s a “pretty” formatting option. 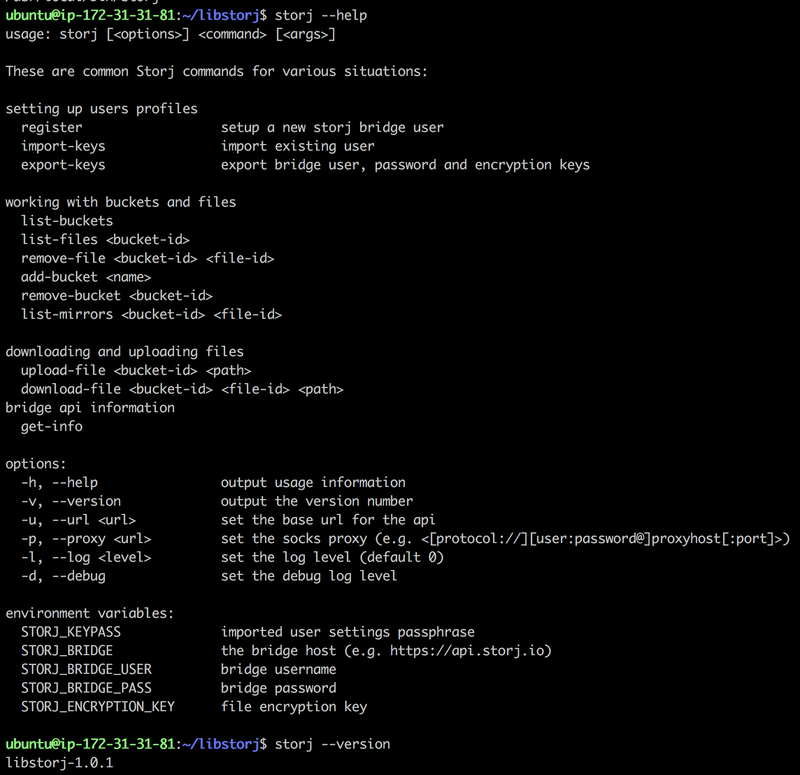 The Storj Bridge responds with a bunch of things, including activated: true . I hope it worked. 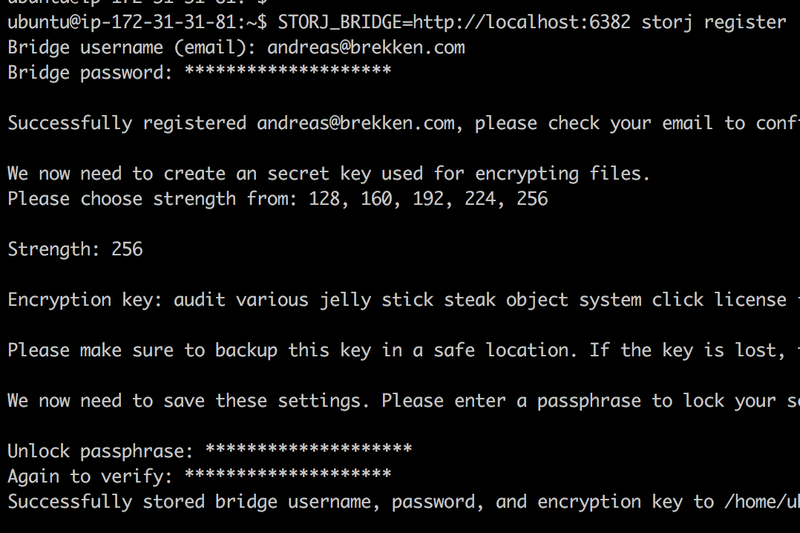 I’ve activated my Storj Bridge user! The moment I’ve been waiting for is here. I’ll try to upload a file. The “Preparing File…” message shows forever and there are no clues in the log. I’m open to trying again later. For now I’m deleting the server. Dropbox with client-side encryption works fine for now. If you’re an investor in Storj I suggest you spend some time with the product.